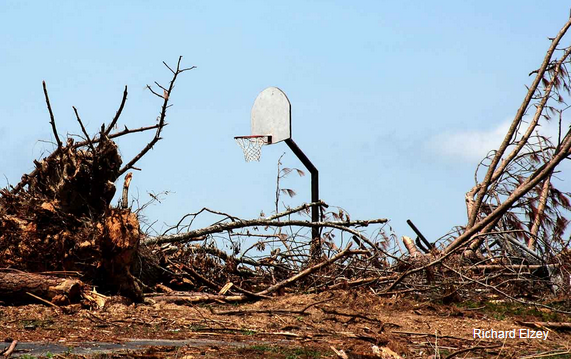 The poignant photo (right) serves to illustrate the sensitive relationship surrounding community tree recovery after a natural disaster. Human recovery takes priority, but the demand for replacement trees hits hard and fast. Find out how to set up tree distribution centers after a disaster, and what can be done ahead of time to give trees the best chance. 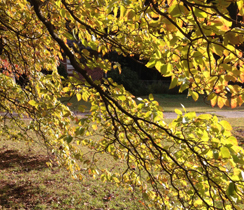 Join Arbor Day Foundation to explore these important topics on #treechat. Welcome! @CoronaTools invites everyone with an interest in trees to enter the hashtag #treechat on Twitter. Join #treechat partner Arbor Day Foundation, with Coe Roberts, electronic communication specialist, tweeting as @arborday. The live chat begins Tuesday, May 5, 2015 at 11 a.m. PST / 2 p.m. EST. 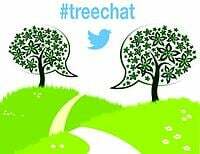 This is the Twitter chat were we come together with industry experts and fellow tree tweeps each week to discuss all things related to trees and tree care, since 2010! Order of Community Recovery - After a natural disaster, it is imperative that immediate human needs are met first and foremost. Timing is Key - Learn when it's the right time to begin the conversation about replacing lost trees after a natural disaster. Show Your Support - What you can do to help set-up free tree distributions for communities affected by natural disasters. Planning Ahead - Resources and tips to help communities prepare their trees before disasters strike and how to deal with them post-event. Coming up Nov. 5-6, 2014 is Arbor Day Foundation's Partners in Community Forestry Conference (PFC) in Charlotte, NC. It presents a unique opportunity for all groups that serve community green space to join together to discuss the latest in urban forest partnerships, planning and management, models of sustainability and innovation. Learn more and ask questions on #Treechat. Welcome! @CoronaTools invites everyone with an interest in trees to enter the hashtag #Treechat on Twitter and join the chat. Corona Tools partner is Arbor Day Foundation, and Coe Roberts will be tweeting as @arborday. The live chat begins Tuesday, October 7, 2014 at 11 a.m. PST / 2 p.m. EST. This is the Twitter chat were we come together with industry experts and fellow tree tweeps each week to discuss all things related to trees and tree care, since 2010! Topics on the PCF Agenda? Keynotes/ Presenters? Impact of PCF had over the years? Success stories? Number of trees planted? Reclaimed neighborhoods? Join @CoronaTools along with chat partner and host, Arbor Day Foundation with Coe Roberts @ArborDay. The live chat begins Tuesday, September 2, 2014 at 11 a.m. PST / 2 p.m. EST. This is the Twitter chat were we come together with industry experts and fellow tree tweeps each week to discuss all things related to trees and tree care, since 2010! Reduce Costs Explore how urban trees help storm water management and erosion control. Cut Energy Costs - Learn how to cut energy costs by 25% with passive solar management by deciduous trees. Boost Property Values Understand how trees can increase property values by 7 to 21% with properly placed trees. Build Stronger Community Ties - Discover the benefits of increasing connections between neighbors and lower crime rates in cities. Honor Your Community - Hear about Arbor Day's Tree City USA celebrations and recognition of major achievements.